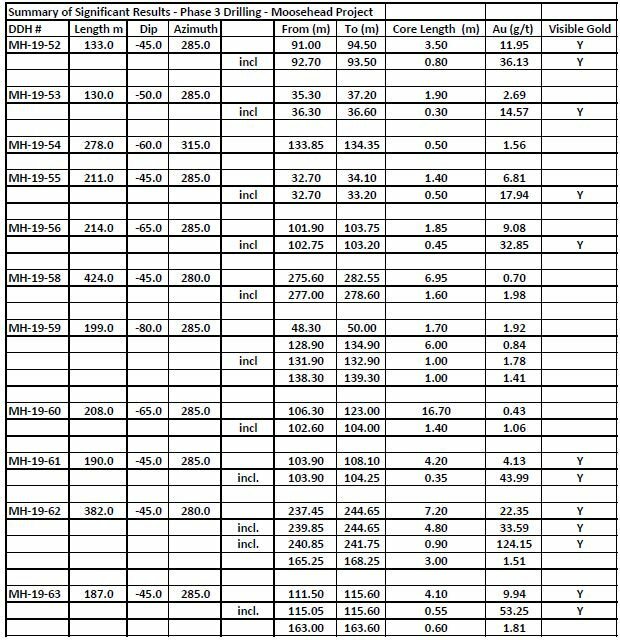 Sokoman Minerals Corp. (TSX-V: SIC) (OTCQB: SICNF) is pleased to announce assay results from Phase 3 diamond drilling at the high-grade Moosehead Gold Project. The recently completed, 21 hole, 4,715 m winter program successfully extended the high-grade Eastern Trend, demonstrated the existence of higher grades in the area, and tested magnetic anomalies northeast of the presently defined Eastern Trend. A portion of the program was completed from the surface of North Pond with the majority of the remaining holes drilled from the eastern side of North Pond.